Please rate and share…I’m in youtube exile again 🙁 Therefore no comments…very sorry. I’ve disconnected from Google+ (Crap+). You live and learn 🙂 So therefore, if you ain’t learnin, you ain’t livin. There are a lot of dead people walking around thinking they know everything. Tesla’s arrangement is special, we’ll have a deeper look at it for sure. When connecting the conventional arrangement to the bulb there is a substantial arc, as you would expect. I meant to show it up-close. But when connecting the bulb inbetween the dielectrics, there is no arc…very very interesting. My camera battery died at the end there. More to come with this for sure. A rotary spark gap will be a must try. I probably won’t be able to try it, but putting a resistor in a vacuum and then inbetween the dielectrics would be interesting. Trying different Tesla inspired (Kapanadze) grounding setups will also be a must try for me. More to come 🙂 cough cough shiver sneeze puke. 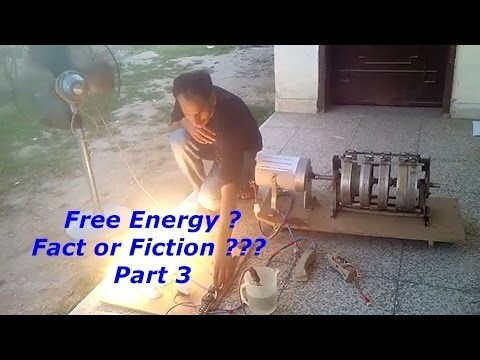 Free Energy – Fact or Fiction – Part 3 – Wasif Kahloon Selfrunning Motor Generator ? 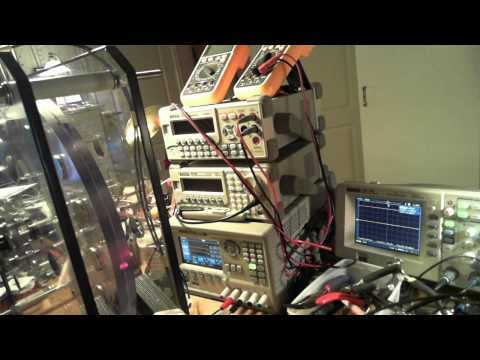 Previous story IT (induction transformer) – "DC-charger"